PL’s are responsible for regional outreach, research associated with Doula Canada’s Canadian mandate, event sourcing and preparation, student facilitation as requested, and the planning and execution of development opportunities for student and alumni relations. If interested in applying please email our Director at shaunacy@doulatraining.ca with a cover letter and copy of your updated resume. Provincial liaisons are currently rated at 5 hours per a week. Compensation is set at a rate of $15.50 per an hour, plus free training opportunities and room for growth towards an instructional role in your region. 3 month probationary period applies to all successful applicants. Only those chosen for an interview will be contacted. Resumes will stay on file for one fiscal year. Doula Canada is currently seeking an Indigenous Doula Consultant, to work with our National Director and Public Relations Coordinator on a number of programs and partnerships. 10 hours a week to start. Probationary period of 3 months, with potential for full-time hours after review. CLOSING DATE: APPLICATION PERIOD NOW CLOSED. As a member of the Doula Training Canada consulting and public relations team, the Indigenous Doula Consultant will provide support and expert knowledge on traditions and cultural awareness of our First Nations members expectations and needs. They will work to create public and political connections that advance the work and scope of our First Nations members and the partnership they have created by working with Doula Canada, its staff, members, and affiliates. The intended role will review the current course curriculums for all core programs to ensure materials are included for our trainees needs, as well as email Doula Canada professional connections and affiliates related to programs being created with our First Nations communities. The successful applicant will help to organize and arrange learning materials, take part in monthly team meetings, assist the Director with tasks related to their focus, as well as occasionally perform administrative or clerical related task as requested by the Director of Doula Canada. An additional area of responsibility is to act as a liaison between the Director of Doula Canada and any other team members that require materials and updates related to updated curriculum, public relations, or interpersonal relationships/ grievances by our First Nations students and the organization. As a member of the Doula Training Canada team successful applicant will also support and work towards the key goals and objectives identified by the Doula Canada administrative team, and any strategic plans they set in place as an international certifying organization for doulas and childbirth educators. Work closely with the executive(s) to understand their priorities and needs as it relates to ensuring relationships with our First Nations members are cared for and appropriately organized. Efficiently manage incoming and outgoing email enquiries as it relates to their tasks, ensuring all emails are appropriately responded to in a timely and professional fashion. Book business related appointments and meetings between the National Director, other staff, students, alumni, and industry stakeholders in our First Nations communities. Undertake special tasks and projects as needed or requested. Occasionally attend meetings out-of-office with the National Director, as requested, and with prior notice. 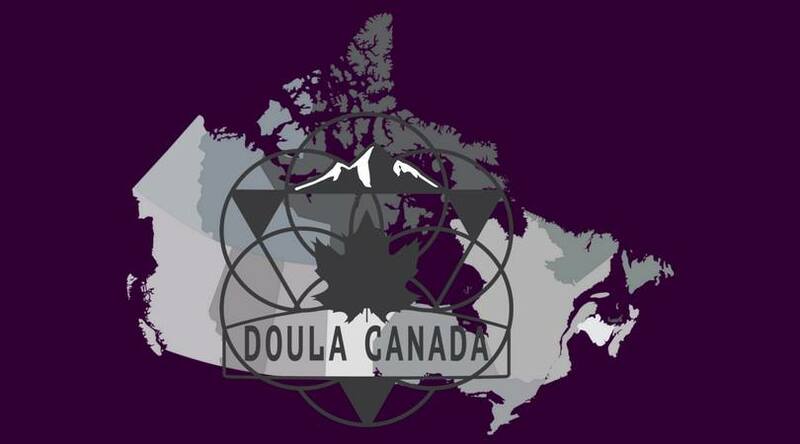 (3) Provide effective liaison between the National Director of Doula Canada and the staff of Doula Canada. 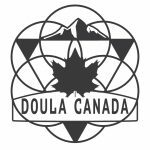 Participate in monthly Doula Training Canada team meetings, with updates on events, relationships, and any required support that is required to effectively promote and support Doula Canada in a way that evokes organization continuity and messaging. Carry out regular reporting to the National Director on matters concerning our relationships with Canada’s First Nations communities. Proactively anticipates and initiates administrative support. Is flexible in with last-minute change of work priorities or requests. Possesses an efficient and meticulous work style and a “go-get-em” personality. Pursuing a long-term position that may result in full-time hours. Familiar with basic computer technology – i.e., Google calendar, email, Word, Excel. Flexible working hours, if requested with enough notice. This position is currently a part-time position, with expectations of 10 hours per a week (with the possibility of more after a review 90 days upon accepting this position). Compensation to be determined based on experience and expectation, to be paid bi-weekly, and is an official job placement with Doula Training Canada (taxable under the CRA and Human Resource and Development Canada). Please note: Following an offer of employment, candidates with Canadian credentials will be required to provide official transcripts from the granting educational institution(s). Doula Canada is currently seeking a Fundraiser and Grant Writer, to work with our National Director and Public Relations Coordinator on a number of upcoming projects and proposals. 5-10 hours a week to start. Position has an hourly rate and a commission bonus upon the successful procurement of funding/ grant allowances. CLOSING DATE: APPLICATION ACCEPTANCE NOW CLOSED. As a member of the Doula Training Canada consulting team, the Fundraising and Grant Writing Consultant will provide support and expert knowledge on fundraising options, initiatives, availability, processes and deadlines, as it relates to perinatal culture and projects at a national level. They will work to create public and political connections that advance the work and scope of Doula Canada and their partners, wth the aim of increasing funding for projects related to doula work, education, infant and pregnancy loss, fertility, peer training, and accessibility. The intended role will review all currently organized projects to ensure materials are organized for future grant proposals and funding opportunities. The successful applicant will also research options for creating non-profit status for our Doula Canada subsidization fund, and aim to create community connections with private and public donors who may wish to be involved in our initiatives to create, but not limited, to accessible doula support and education. The successful applicant will help to organize and write grant applications/ proposals, take part in monthly team meetings, assist the Director with tasks related to their focus, as well as occasionally perform administrative or clerical related task related to their role as requested by the Director of Doula Canada. An additional area of responsibility is to act as a liaison between the Director of Doula Canada and any private donors, public subsidiary’s, interprofessional relationships related to fundraising, or other grant and fundraising developments. Book fundraising related appointments and meetings between the National Director, other staff, students, alumni, and industry stakeholders. Research, organize, and execute the writing and submission of funding and grant proposals by their set deadlines and to the appropriate persons/ organizations. Carry out regular reporting to the National Director on matters concerning our relationships and the development of fundraising opportunities. Familiar with computer technology – i.e., Google calendar, email, Word, Excel. This position is currently a part-time position, with expectations of 5-10 hours per a week (with the possibility of more after a review 90 days upon accepting this position). The applicant will receive a commission stipend from each successfully achieve grant; to be negotiated with Doula Canada administration prior to accepting the position.